The catalogue is full of ideas, room settings, furniture, DIY, accessories etc. with over 4,000 items available. 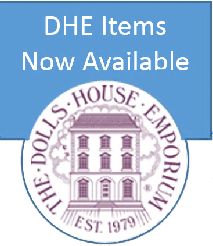 Browse at your leisure and if you see items you would like to add to your dollhouse - or even start a new one!, simply ask us for a no-obligation price. We are a small family business who want you to have the enjoyment from a shared hobby, and not pay excessively for the privilege. We do not have huge overheads, we do not inflate shipping costs (up to £6.99 from some suppliers for a 1st class stamp), we only charge what we consider is a fair price. This catalogue brings the Streets Ahead, Dijon, Dolls House Emporium, and now Babette’s Miniatures all under one cover! 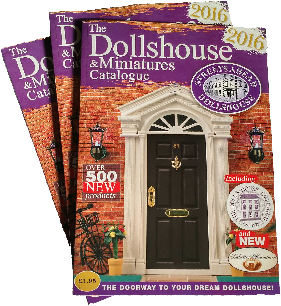 260 pages Packed full of ideas available for your Dollhouse, Victorian, Edwardian or contemporary style.